Secure but Not Safe | Some of our fears are unfounded. Some aren't. When we were in Washington DC a couple of weeks ago I had a beautiful conversation with one of my cab drivers about Anthony Bourdain. We talked about how lucky Anthony Bourdain was because he traveled everywhere and met so many people and tasted so many different foods, which also led to a discussion about the rise of incuriosity in America and how important Anthony Bourdain’s show is as people become less interested in learning about other cultures. “Newfoundland! He just did a show in Newfoundland! Who goes there?” the driver said. I told him Newfoundland has been at the top of my husband’s travel wishlist for years and we have been looking forward to watching the episode (which is still on our DVR) and plan to make a trip there. Right now I wish I could see that driver again. I would invite him for a drink with my husband so we could talk about Mahmoud Ahmed, Newfoundland and Anthony Bourdain. We have lost an important voice and he will be missed by so many people who never had a chance to meet him. If you’re in DC and have to take cabs, think about talking to your cab drivers. I’ve had so many interesting conversations with DC cab drivers from Ethiopia and Eritrea. My fab web designer, Cliff, updated my website and now all is right with my internet world. The site meets the requirements for…whatever (stuff I don’t understand) and can be viewed on all the tiny devices other people use (my phone still flips open and makes tech savvy people shriek). All of the background photos featured on the site are by my husband and me, and we’ve added a photography section because we’re in love with the picture taking. We’ll probably update that section periodically. We finally link to my Twitter page, my Tumblr page and my Facebook page, so “friend” me or follow me, and I’ll do the same. I can’t believe it’s been a little over three years since my last post. Time flies. I’m always on the look out for natural products with great scents, and after a failed attempt to light Japanese incense in my apartment (I started choking), I found P.F. 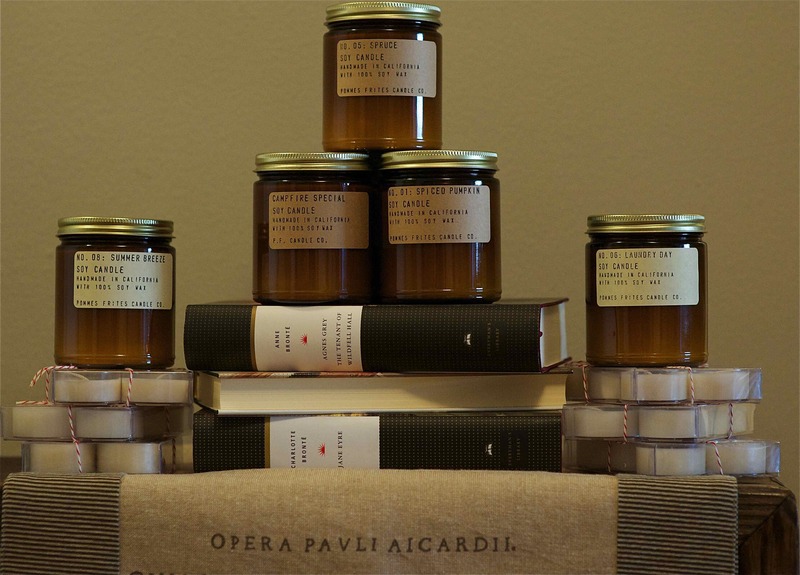 Candle Co. – Homemade soy candles with marvelous scents like Spruce, Campfire and Summer Breeze. Tomorrow is Small Business Saturday. If you’re looking for a cool stocking stuffer or Secret Santa gift, and would like to support a small business, I think the 7.5 oz candles are a great idea. They are $16 and the packaging is gender neutral. I think the Teakwood and Tobacco scent is perfect for a man or woman. My favorite scents are Summer Breeze and Campfire. Bernie Mac passed away today. He was 50. Entertainment Weekly has an article about him. Author and journalist Shamontiel Vaughn has interviewed me for The Chicago Defender. Please check us out here. And please check out Shamontiel’s website. She has written two novels, Change for a Twenty and Round Trip.